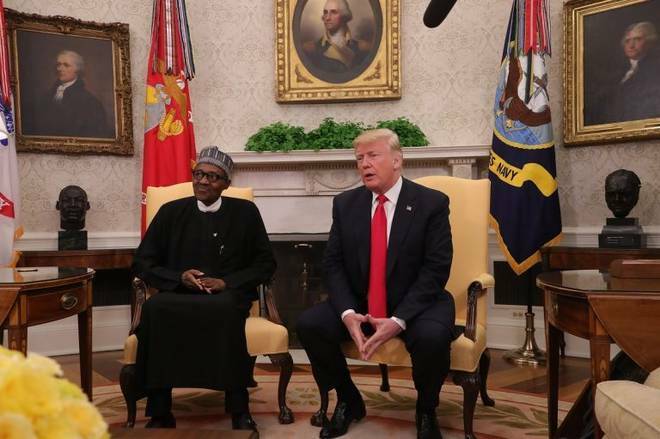 Barely three hours ago, today (6.pm, GMT +1), President Donald Trump of the Unites States and Muhammadu Buhari of Nigeria met at the White House in Washington DC and there has been multiple reaction in Nigeria on Buhari's responses. It was also noted that President Trump answered virtually all the questions, meant for Buhari, asked by journlaists at the press conference. Alot of Christains from the Southern part of Nigeria are worried about President Buhari's stance on the killer herdsmen and his inability not to label them as terrorists. 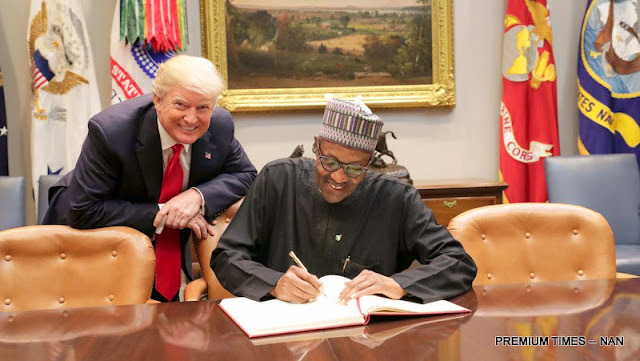 The U.S. president also commended Mr Buhari for the role he played in securing the release of kidnapped Dapchi schoolgirls. He, however, called on Mr Buhari to do more to end the ongoing killings linked to herdsmen across central Nigeria. Trump added further: "We would be investing substantially in Nigeria. We want to thank Nigeria's President for his fight against terrorism. He has been a real leader. 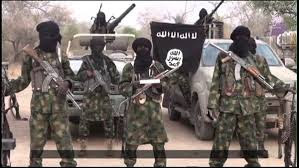 Nigeria is one of the first African nations to join other nations to defeat ISIS and Nigerian forces are currently leading regional efforts against ISIS in West Africa. "Nigeria is also leading African nations in the fight against Boko Haram, another ruthless Jihadist terrorist group. We have been reading about them and they kidnapped girls and young women, many of whom are not seen again. ''I was deeply touched by the resilience of Joy and Lilian, who I interviewed and I told them my administration is very much concerned about combating both jihadist terrorism and human trafficking. In the world today there is more human trafficking than it was before. They use the internet better than anybody can use them. "To protect Americans from these menaces, I have called on the Congress to close deadly immigration loopholes that are exploited by terrorists, traffickers, and criminals. Just look at our borders that are weak and obsolete laws. They are obsolete, weak and pathetic and there is no country that has laws as we do. "We are also helping our Nigerian partners by facilitating intelligence, corporation and providing training and military equipment to Nigerian forces. For example, we recently sold Nigeria 12 US A29 super catena aircraft. This is the first ever sale of the American military weapon to Nigeria. This new aircraft will help Nigeria to target terrorists and protect civilians. President Buhari in turn commended Mr Trump for his leadership role in working out a final solution to the decades-long stalemate between North Korea and South Korea. Buhari also promised to secure the remaining Dapchi and Chibok girls in Boko Haram custody. He also said he would work to end the killings in the north-central states. On economy, Mr Buhari said agriculture, food security, power and infrastructure would get priortised attention, as well as bilateral trade commitments. ‘’The problem of herders in Nigeria is a very long historical thing. The Nigerian herders don’t carry anything more than a stick and occasionally a matchet to cut down foliage and give it to their animals. These ones are carrying AK-47. “People should not underrate what happened in Libya. 43 years of Ghaddaffi, people were recruited from the Sahel and trained to shoot and kill. With the demise of Ghaddaffi, they moved to other countries and region and carried the experience with them. “We are grateful to the United States for agreeing to give us the aircraft that we asked for. We are even more grateful for the physical presence of the United States military officials in Nigeria. In a swift reaction, The Christain Collective Union, a Christain organisation with, with members spead around the nooks and cranises of West African, stated that President Buhai is still pampering and shielding the herdsmen, who have masscred over five thousand people with two years. According to its President, Matthew Azinge: ''These herdsmen should be labeled as terrorist by President Buhari during his meeting with President Trump today. These killers have murdered over five tousand innocent Nigerians within two years. "These is really notheing to hide from the whole world. These militants or terrorists are killing us. They have turned Benue state into a killing field and the president is silent on it. Whaht kind of President is he? "We believe that the is taking side with these herdsmen. He is pampering them. He needs to show the zeal to end these killings. Everyday over 10 people are murder for nothing by these herdsmen. We are at war here in Nigeria"